Home Art News Graffiti Increasing House Prices? To some of you, reading the title may make you do a double take. In Scotlands cities such as Glasgow, Edinburgh, Dundee and Aberdeen, graffiti has always carried a bad reputation. However, times are changing. As our cities, towns and culture in the UK become more globally aware, international trends catch on. 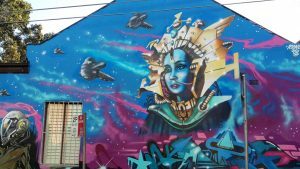 The so called “value” of graffiti and street art has gone up and there’s evidence to suggest it’s affecting housing prices and neighbourhoods in a positive way. In 2014 New York demolished a cultural icon. “5Pointz” was an abandoned warehouse which was a graffiti mecca for artists all over the world. The New York residents were furious. In an interview for Fast Company, a leading media, arts and business magazine, sociologist Gordon Douglas expressed why. Snyder, who is also a sociologist at Baruch College NY writes about some interesting findings on the subject. His findings show that areas with large amounts of graffiti also have lower crime rates. Quoted in the same article Economist Elizabeth Currid-Halkett from the University of Southern California expands on this. 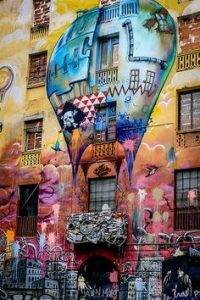 Those of you who’ve been to Berlin, Amsterdam, Melbourne, Barcelona, New York or Sao Paulo will have seen the countless murals of traditional graffiti art and street art. 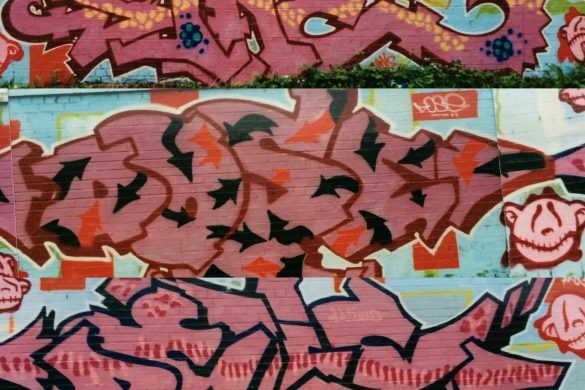 In all of these cities, a thriving creative culture exists, and their graffiti reflects that. Closer to home, areas such as Brick Lane in London and North Laine in Brighton are great examples of this. Newtown in Sydney Australia is another example, with high house prices, low crime, lots of economic development and lots and lots of graffiti murals. 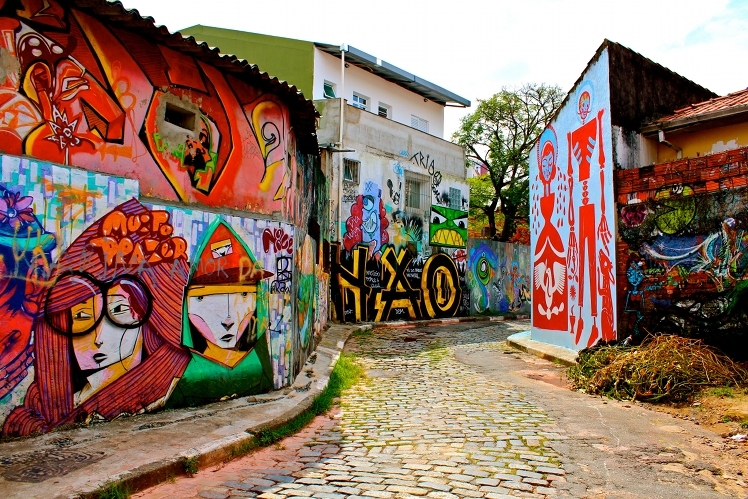 Graffiti tours have become common place in forward thinking cities across the world. 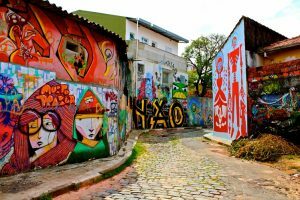 Sao Paulo is one of those – with daily tours around the Vila Madalena neighbourhood, which boasts an impressive array of traditional graffiti art and street art. 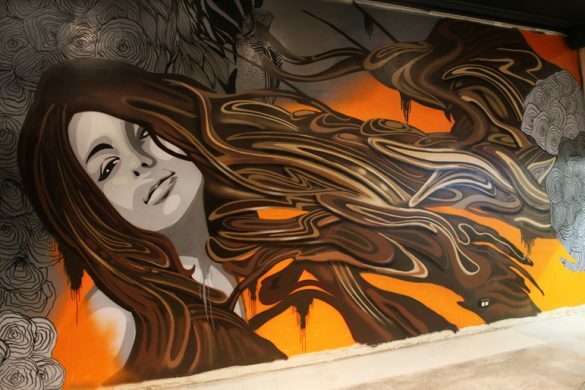 Street Art tours also exist in Sydney, Melbourne, New York, Barcelona, London and also Glasgow. In 2012 Glasgow began to commission large street art works as part of the lead up to the 2014 Commonwealth Games. 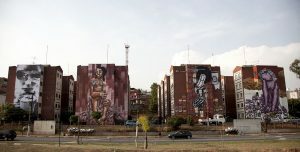 Now “mural tours” are a part of what is offered to visitors from all over. With all this considered it’s no wonder that the house prices in areas that attract large amounts of artistic graffiti are now rising. A recent study carried out by the University of Warwick also found this. 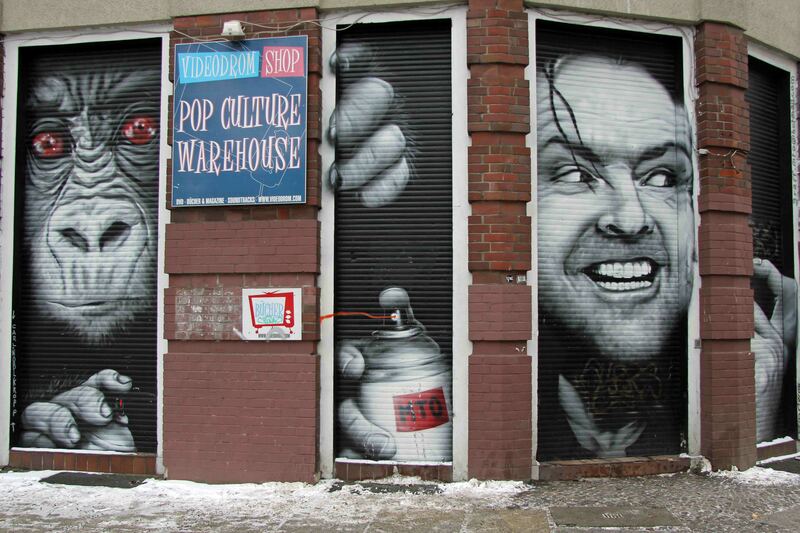 The art in neighbourhoods such as these creates a certain atmosphere for businesses to flourish. Typically cafes, bars and restaurants in the worlds art hubs are the main industry. In New York, areas such as Chelsea, Lower East Side and Harlem are shedding their previous reputations. 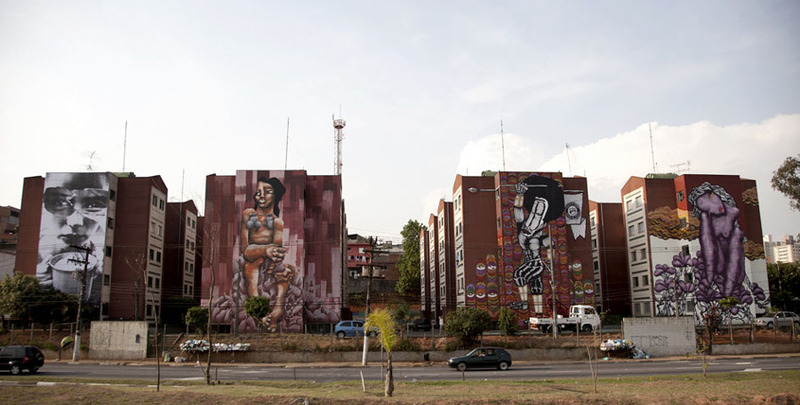 These areas are seeing a rise in house prices, and a rise in the amount of street art murals. Artists are discovering new opportunities as landlords commission murals to increase their property values. 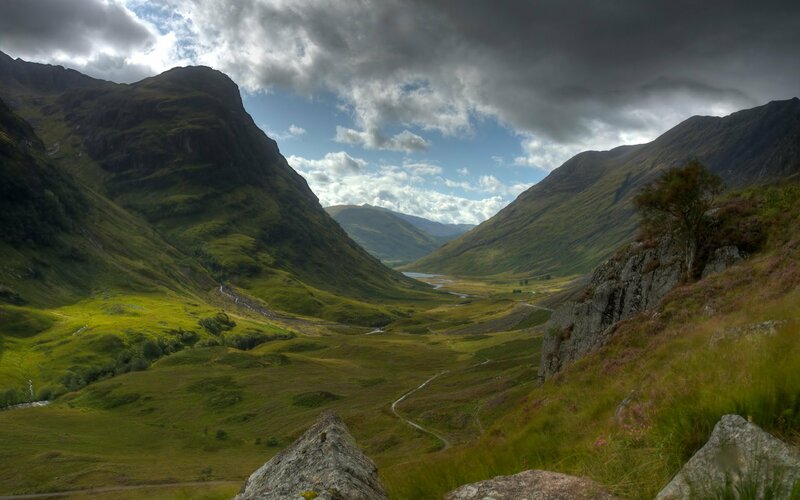 The above reflects what we see right here on our own doorstep. Glasgow City Council now has a mural fund. What is left to do, is to create legal art spaces such as Edinburgh has. 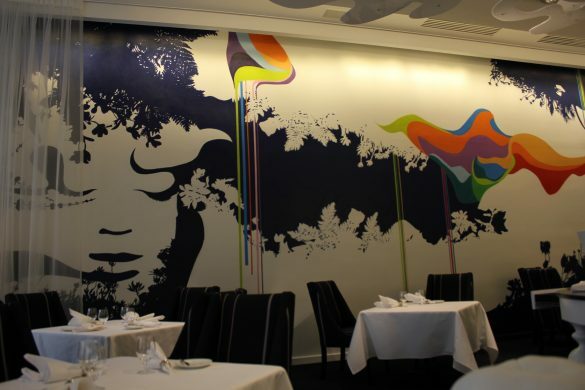 Where artists can not only show the large scale gable end murals, but more traditional graffiti art. Creative, thriving hubs and a city reflecting the talent of its creative people are not a long way off.